Actress Lauren London is left grieving the death of rapper Nipsey Hussle. The couple had just released a clip of Q&A wity GQ Magazine where Nipsey had learned her favorite color. 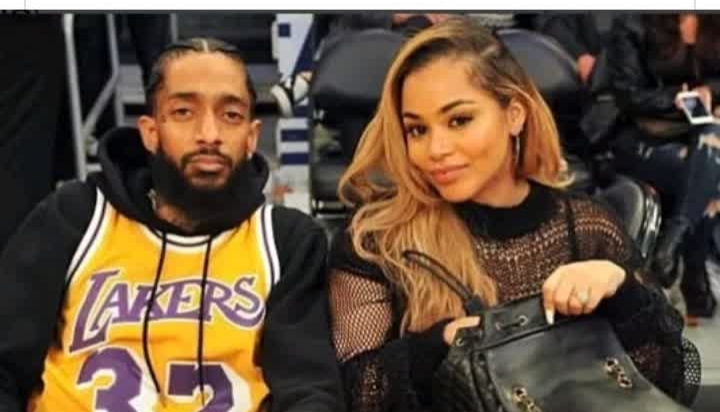 In the video you could see how smitten she was over Nipsey, jokingly commenti g on the fact that they had been together for five years and he didn’t know her favorite color. The couple had also celebrated together a few months back, where Lauren mentioned in video that Nipsey never allowed her to be lonely and that he always showed up for her. The day before Lauren was seen in a video on her Instagram with her son, showing her appreciation for being a mom. Laureb noted how moms tend to take on their childs colds when they are sick. Nipsey was shot outside of his clothing store in L.A. Although, news reports have spoken about his affiliation with gangs, Speculations may lead to a documentary that he was about to release on Dr Sebi. Dr Sebi died in jail aftering being arrested over alleged money issues. However, he was a threat to medical science dollars, and he death remains in question.